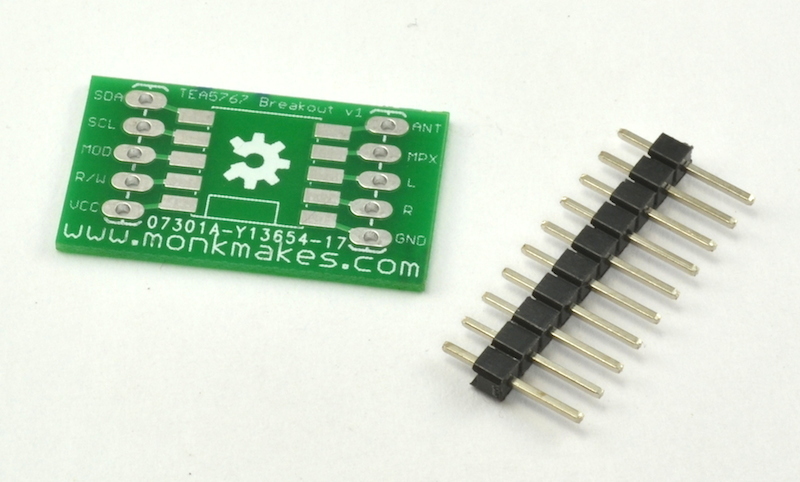 The TEA5767 Breakout makes it possible to use TEA5767 FM radio receiver modules on breadboard. 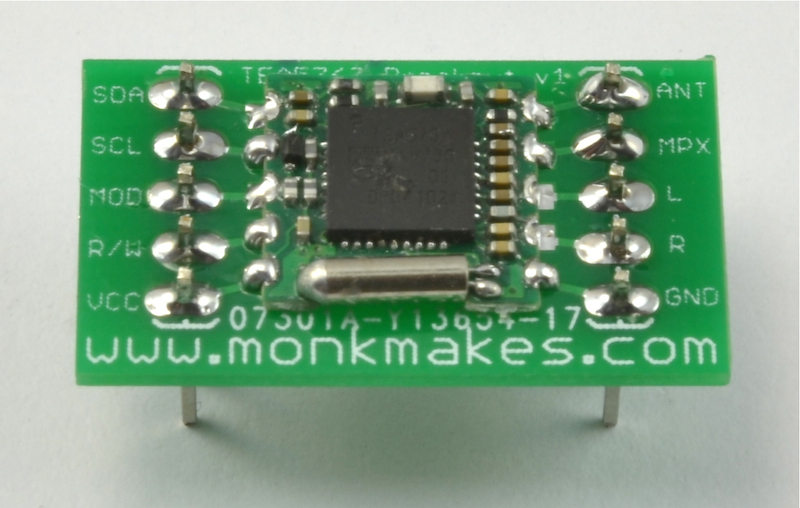 The breakout boards need you to solder your own TEA5767 module onto the board. Note that these are sold in a pack of three breakout PCBs. 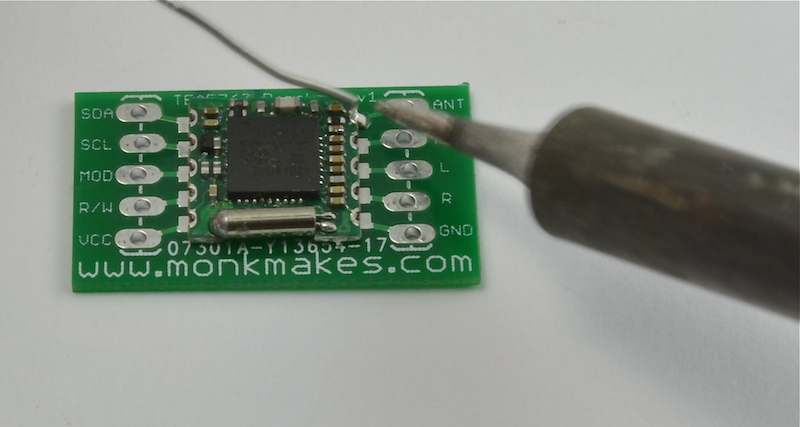 A tiny ball of adhesive putty will help keep the module in place while you solder. 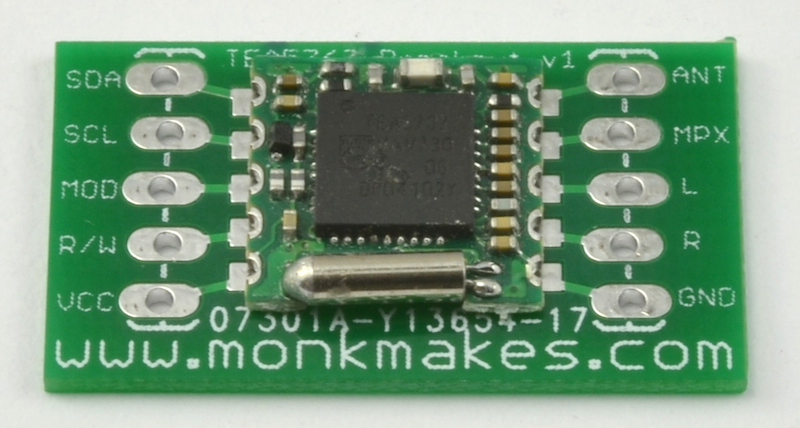 The cylindrical crystal on the module goes at the bottom of the breakout board. Use a fine tipped soldering iron. Finally attach the header pins. I need one piece like these one . Where a can get it . I think there is something similar of Tindie.